Mywish Marketplaces Pvt. Ltd, which operates retail loans marketplace Deal4Loans.com, has raised $15 million from Franklin Templeton International Services (India) Pvt. Ltd.
“This investment is in line with our continued efforts towards making strategic investments across geographies in companies that align with our global business priorities, Vijay Advani, co-president at Franklin Resources Inc., said in a statement. The development comes after VCCircle first reported in May that the company was looking for a big-ticket investment in its first institutional round of funding. The company had in April raised an undisclosed amount of funding from a bunch of high-profile investors, including Ram Shriram, founding board member and one of the first investors in search engine giant Google; WhatsApp’s global business head Neeraj Arora and Puru Vashishtha, a former Wall Street hedge fund investor. Advani said Deal4Loans has strong domain expertise and good growth potential, particularly as it plans to expand its business to include wealth management and investment product-related services. Deal4Loans was earlier run by WRS Info India Pvt. Ltd. All properties of WRS have now been consolidated into Mywish. Founded in 2009 by Durham University MBA alumnus Rishi Mehra, Deal4Loans offers comparison of retail loans across six different categories – home loan, personal loan, car loan, credit cards, loan against property and education loan. The platform has 50 lending partners (a mix of banks and non-banking financial companies) and 7 million registered customers. The marketplace uses algorithms to acquire customers for the participating banks’ loan products and to match customers with products. 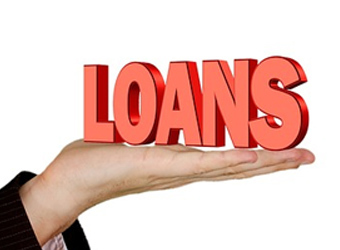 Deal4Loans will use the funds to develop intellectual property, build an investment platform and expand the small business loans category, Vashishtha told VCCircle. Vashishtha is a board member at Deal4Loans. The company recently launched small business loans as a product category, with a ticket size of Rs 4-30 lakh. According to Vashishta, this sector has been the fastest-growing category and the company expects it to account for 20% of its business in 2016-17. The company also plans to expand its presence to 350 cities from 200 cities. Deal4Loans claims to have posted a profit every quarter since its inception. It has helped disburse Rs 10,000 crore worth of loans till date. According to VCCEdge, the data research platform of VCCircle, Deal4Loans earned a net profit of Rs 78.5 lakh on net sales of Rs 7.7 crore for the year through March 2015.